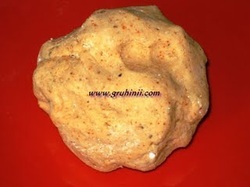 Boil moong dal in a pressure cooker for 4 to 5 whistles. let it cool. 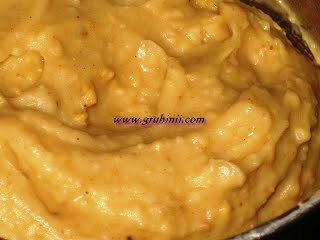 Drain and make a smooth paste of the dal in a mixer or hand blender. Do not throw the water it may be used for mixing the dough. 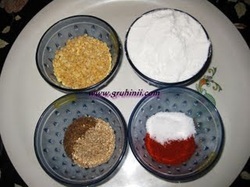 Now add rice powder, salt, red chilli powder, Ajwain and til to the grounded moong dal paste. Add the drained dal water if necessary. Knead a make a smooth but thick dough. Heat oil in a pan for deep fry. Divide the dough into equal parts. 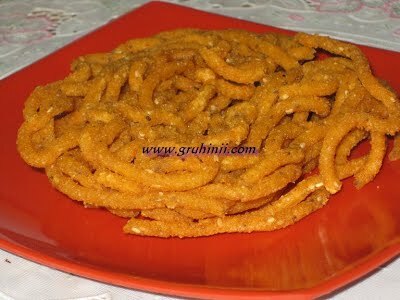 Fill the dough in the chakli maker (murukku presser) and drop the murukku in the oil. 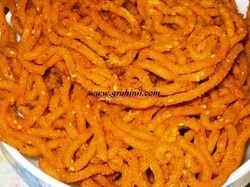 Fry until golden color both sides. 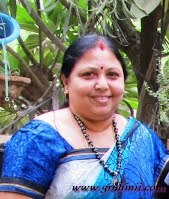 Remove from the oil and drain on a kitchen paper. 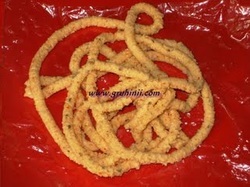 Pesarapappu Murukku (jantikalu) ....Moong dal ke chakli are ready..........cool and store in a air tight container.